An early morning arrival at Leh airport where you will be greeted by our company representative and transferred directly to your Leh based accommodation. After check-in spend a full day taking rest and adapting to the high altitude of Ladakh. Enjoy the surrounding mountain views and take in the local gardens before dinner and overnight stay in your preferred Leh based accommodation. Wake early and travel west of Leh to the popular ‘Hall of Fame’ war museum. Here, you can learn about Ladakhi history pay your respects to the Indian army as you view the museum of war memorabilia. Next, continue on to the Sikh temple known as ‘Pathar Sahib’ before taking a pit stop at the mysterious Magnetic Hill where you can experience reverse gravity in action as your vehicle appears to move without power. Continue on your safari journey and arrive at the Sangham lookout where you can view the meeting point of the intersection of the Zangskar and Indus rivers and then drive through the ‘pretty-as-a-postcard’ Basgo village. Arrive at Alchi monastery (famous for its Kashmiri influenced architecture) just in time for lunch and then return back to Leh for a well earned rest and overnight stay. Depart Leh after breakfast and head towards ‘Nubra Valley’ - popularly known as the ‘valley of flowers’ because of the variety of wildflowers and medicinal plants grown all over the local area. Situated in the northern part of Ladakh (between the Karakoram and Ladakh Himalayan ranges), the journey between Leh and Nubra takes you over ‘Khardong-la-pass’ which is the world’s highest motor-able road (located 18390 feet above sea level)! The journey to Nubra is a half-day drive of breathtaking landscapes and spectacular scenery and the experience is sure to be once-in-a-lifetime and truly unforgettable. On arrival in the Valley, you will visit the Disket monastery where you can see the 100-foot tall Buddha statue and then those who wish to enjoy an optional camel safari on Nubras resident double humped camels can climb aboard a double-humped camel in Hunder for a ride around the cold desert sand dunes. Arrive to Nubra Valley accommodation in time for dinner and overnight stay. In the morning you will visit Samstanling monastery in Sumoor and then return to Leh with one last safari drive over Khardong La pass. 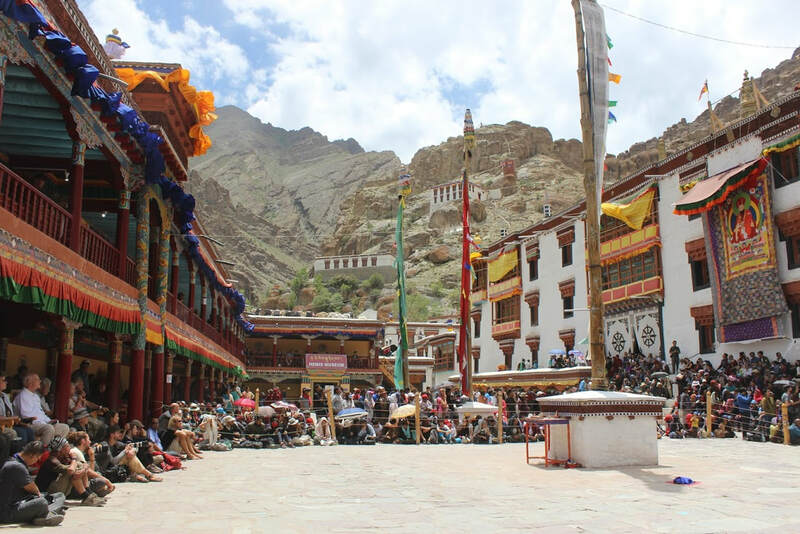 Spend an hour or so walking around the town where you can shop for local handicrafts or purchase souvenirs and then continue your sightseeing with a half-day of Leh city sightseeing beginning at the ancient Tse Mo castle. After seeing the crumbling architecture and your first aerial view over the town, you can visit the ancient Leh palace and then proceed to the magnificent Japanese built Shanti Stupa where you can watch the sun set and the lights emerge over Leh town. 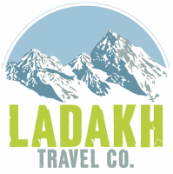 Return to your Leh based accommodation for overnight stay. Definitely a highlight of your tour, today involves an adventurous drive with a constantly scenic trip to the magnificent Pangong Lake. A must see destination for your time in Ladakh, Pangong Lake has been made famous by the 'Three Idiots' movie and more than half of the lake marks the separation border of India and China. The appearance of the water is said to change colour at every angle of the sun - which makes for some amazing photographs so don’t forget your camera (and spare batteries!) Overnight stay in Pangong. Start your morning with a sunrise view of beautiful Pangong Lake before making your way back to Leh via Thiksey monastery. Commonly referred to as ‘Little Lhasa’, Thiksey has become a popular tourist destination because of its architectural resemblance to the ‘Potala Palace’ in Lhasa, Tibet. Finish the afternoon with a short drive to the Shey Monastery and Palace - both built in 1655 as summer retreat spaces for the reigning King. Return to Leh for a well earned rest with the evening free to roam in the market as per your leisure. Overnight stay in Leh. DAY SEVEN: Free day for attendance at a local festival.